The doors are NOW OPEN for “Hands on Harmony” – my foundational class for harpists where you learn the basics of harmony with your HANDS (and your mind, of course) – at your own pace! See the details for the Special Cyber-Deal HERE! 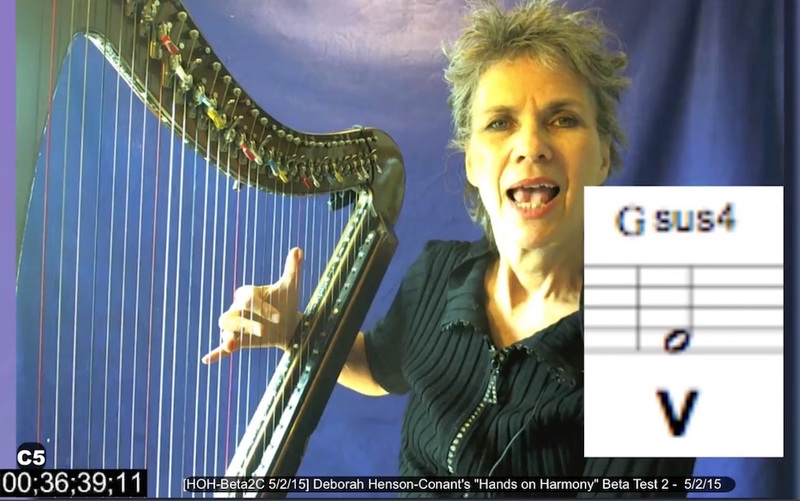 “Hands on Harmony” is different from my other classes in that it started as a virtual RETREAT where harpists went from the fundamentals of scales to the complexity of jazz chords all in one day. I wanted to do it a single day in part, because I watched the way I, personally, learn. With fundamental concepts, I like to see the whole thing first — in one fell swoop – and then go through it several times to make it ‘my own.’ I wanted the students to know that they could sequester themselves in a room for day – once or twice (or twenty times) a year – and go through the program again and again, each time picking up more and seeing how they’re applying it to the music they play. What are “Harmony” and “Theory”? For non-musicians, training in “Harmony” and “Theory” is basically training in the way music ‘works’ – and in particular, how chords work – how they’re built, how you can modify them, and because we’re also learning to play with them, “Hands on Harmony” also shows you how you can split them apart into the ‘roles’ of melody, accompaniment and bass. Learning harmony helps you know how to create your own music, improvise music, play with others and even to understand better what a composer is ‘doing’ in the music you read, so you can collaborate better with them as a performer. Did you know that the harp is the only instrument that physically changes key? This may be a little tricky to visualize, but on a harp you don’t just choose different notes to play in a different key like you do in other instruments. The HARP actually changes key. OK, yeah … this might be geeky harp harmony but to me it’s exciting because … well, because if I set it up right, my instrument does the thinking for me. For example, on a piano, you play a C scale by starting on the C note and playing every white key. You play a G scale by starting on the G note and playing all the white keys except when you come to the F, when you play the black key above the F instead, which is called F-sharp To play an F scale you start on the F key and play all the white keys except the B key, where you play the black note BELOW the B key, which is called B-flat. As you get to more ‘distant’ keys you have to trade out more and more white notes for the sharps or flats. 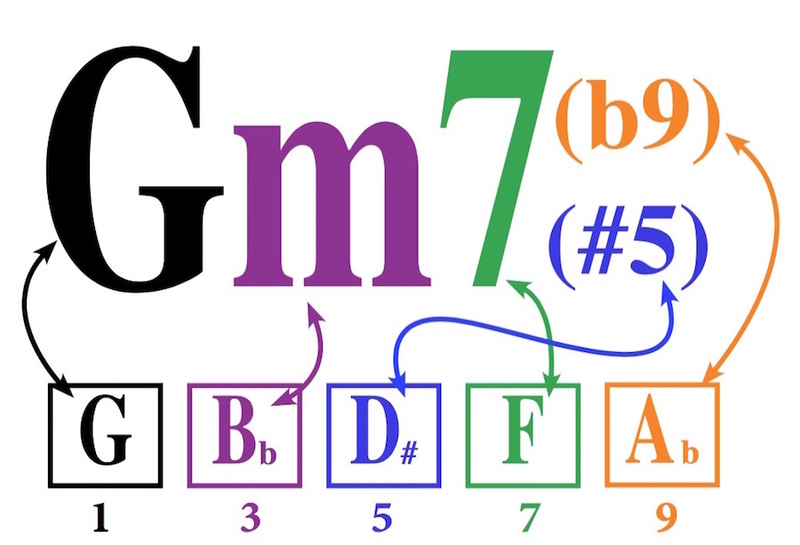 There are 12 possible notes in each octave and you have to choose which ones fit your key. Don’t get me wrong, I love the piano – it’s the instrument I use for composing – but the way it’s structured doesn’t give you any help in understanding how harmony developed, since harmony developed from instruments more like the harp. On the harp, shifting from key to key is completely different. You want to play a G scale? You shift a lever or pedal to make the F”s sharp and then the whole harp is now in the key of G, you start on the G and play a scale. There are only 8 possible strings in each octave and you change them to resonate to the key you’re in. This creates other pitfalls and complexities — but for learning concepts of harmony, it creates the most beautiful, literal, physical representation of how harmony works. You literally and physically change the strings themselves – the same string can take on one of three states at any time – so the G string, for example, can be a G-natural, a G-sharp or a G-flat – unlike the piano where those are 3 different strings (they’re actually more than 3 different strings on the piano, but don’t worry about that now). This ability to morph as a whole instrument is one reason the harp is so intensely resonant. I guess you could say it changes key (or ‘modulates’ in technical terms) holistically. It’s also why traditional ways of teaching harmony can be confusing to harpists. They’re usually based on how harmony makes sense to pianists. So trying to teach that way on the harp is a little like trying to train a cheetah to run fast by taking it shopping for running shoes – you’re missing the the natural abilities of the animal by forcing it to try to think and perform like a different animal. Viewed through the lens of how the harp actually works, harmony can be incredibly easy, exciting, logical – THRILLING! Especially when you get to really SEE and FEEL the history of harmony in your hands, and how it’s developed over time from simple scales to the complex jazz harmonies we play today. THAT’S the journey I take harpists on in “Hands on Harmony.” It’s also why I think that harps should be used to teach harmony to everyone in every school and university … but that’s a bigger battle than I’ll take on today. 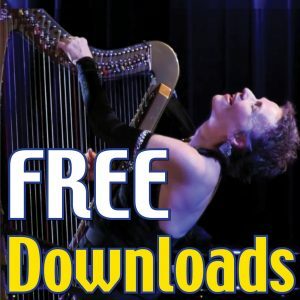 For now, I’m focused on showing harp players how to harness that power for their own playing – and “Hands on Harmony” is the class I created for that.